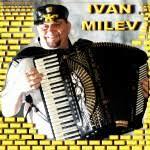 Ivan Milev is a landmark of contemporary Balkan folk music. Throughout his 40-plus year career as an accordion player in Bulgaria, he has established the rules for Balkan folk music. His style fuses tunes of classical, jazz, Eastern European and Middle Eastern music. Milev comes from a clan of famous folk musicians. At a young age he learned the intricacies of Bulgarian folk music from his father, Atanas Milev, who was a renowned accordionist and an innovator in folk music performance. Atanas Milev was the founder of the Parvomay Orchestra, the first orchestra to perform folk music using “classical” instruments. Later Ivan enrolled at the School of Music in Assenovgrad, Bulgaria. In 1970, he continued studying music at the Dobrin Petkov Secondary School of Music in Plovdiv, Bulgaria. He graduated with two degrees — in Percussion Instruments and in Accordion. Upon finishing his education, Ivan became a performer, teacher, and conductor in his hometown of Dalbok Izvor. From then on, he began to feverously compose ethnic melodies and tunes for folklore songs. In 1978, Ivan Milev created his own orchestra– Mladost (Youth). The orchestra performed at festivals, fairs, in concerts and on the Bulgarian National Television, and Ivan’s exquisite performance and charisma gained him widespread popularity throughout the Balkan Region. 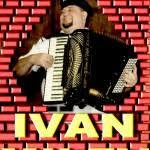 With his band, Ivan defined the famous wedding music culture in the Balkan region through the 1970s, 1980s, and 1990s. His first LP “Gypsy Songs” (1978) with the famous Ivo Papazov and the singer Ivo Barev further established him as a pillar of Bulgarian folk music. Apart from the recognition he received from his audience, Ivan won several awards for his immeasurable talent. His orchestra received first prizes at the First, Second, and Third National Festivals for Orchestras and Vocal Performers organized by the Government Agency of Culture and the Government Committee of Music in Varna (1986), Stara Zagora (1987), and Vratza (1988). First prizes were also won at First and Second National Fairs for Folk Orchestras organized by the Government Committee of Music and the Musicians’ Association in Stambolovo in 1985 and in 1986. The subsequent album, featuring the laureates of Stambolovo, brought together first prize winner Ivan Milev, second in place Kanarite, third Georgy Yanchev, and the public’s choice Ivo Papazov. At the time Ivan also recorded with Atanas Valchev and his popular National Folklore Ensemble of the Bulgarian State TV and Radio. Ivan Milev has performed on tours in Germany, Austria, Turkey, Greece, and throughout former Yugoslavia. 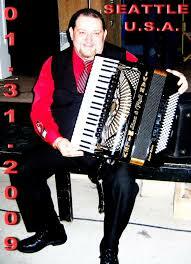 He is also the author of “Twelve Folk Compositions for Two Accordions” (1999). He shaped the talent of many performers of ethno music – Yuri Yanakov, Osman, Vasil Angelov, etc. In 1999, Ivan Milev came to the U.S. and began working with one of his former students – saxophonist Yuri Yanakov. Together they appeared in numerous ethnic festivals and toured North America and Europe. Ivan Milev was twice invited to perform at the Independence Day celebrations in Washington. He also continued teaching music. Milev has been an in – demand instructor at Balkan Folk Music Camps, U.S. – based workshops in Eastern – European folklore for music performers and academicians. Ivan Milev and Yuri Yanakov recorded a Balkan gypsy music album, Roma Variations, in 2001. In early 2002, Ivan Milev met violinist Entcho Todorov in New York. Shortly after, they started performing as a duo at variety of clubs and cultural events in New York City. Getting more and more attention from friends and strangers alike, Milev and Todorov decided to form the Ivan Milev Band. The group has performed at clubs and festivals throughout the Northeast. Meanwhile, Ivan recorded for the soundtrack of “Everything is Illuminated,” a widely acclaimed independent movie, featuring Elijah Wood and directed by Liev Schreiber. In 2006, Ivan Milev Band recorded its debut album, The Flight of Krali Marco. In 2013 Ivan Milev was awarded Honorary Citizen of the municipality Parvomai!